If you've been associating Lincoln Center or Bryant Park with New York Fashion Week for as long as you can remember, things are officially about to change. 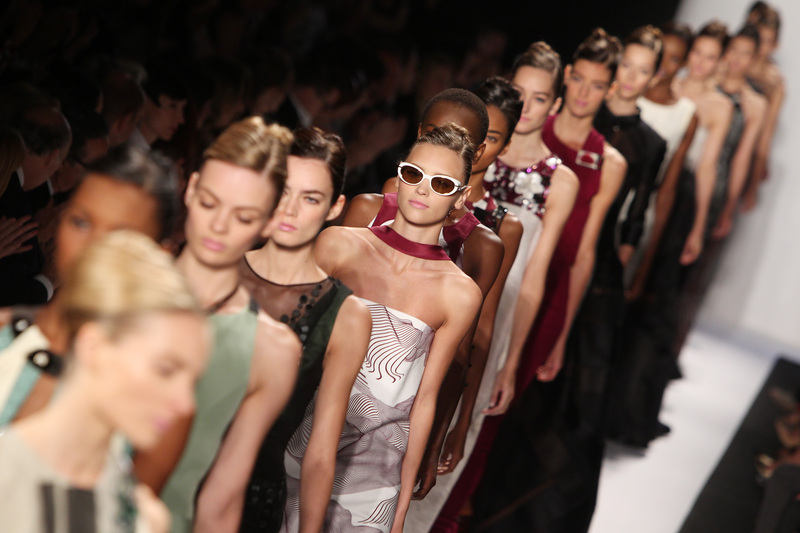 After announcing in February that NYFW was leaving Lincoln Center, IMG just announced that New York Fashion Week will be in Soho and Midtown, splitting the main events up into two official locations, according to Racked. More specifically (if you're really interested in the new locations), at Skylight at Moynahan Station (8th Avenue, between 32nd and 33rd street) and Skylight Clarkson Square (550 Washington Street). WWD broke the news of the move, but in case you are like me, a peasant, and don't have a subscription to the site, we've got you covered on all the details of the new location. If you're a big fashion week buff, then you may already know that Skylight Clarkson Square (the name is a little obnoxious, no?) was the home of the first official Men's New York Fashion Week this past summer. Given that, it makes sense that the location would be a candidate for the new official locations of NYFW. Although, of course, designers have been showing collections in a variety of locations other than Lincoln Center for a while now. In any case, IMG has been doing some serious research for the new locations. According to WWD, IMG consulted designers and also Mayor Bill de Blasio in making their decision. No big deal. IMG chief content officer Mark Shapiro said that the new locations embody everything NFW is about. So now when you see all those bloggers posting from a new spot in the fall, you'll know what the deal is. Yes, you can breathe easy now, guys.